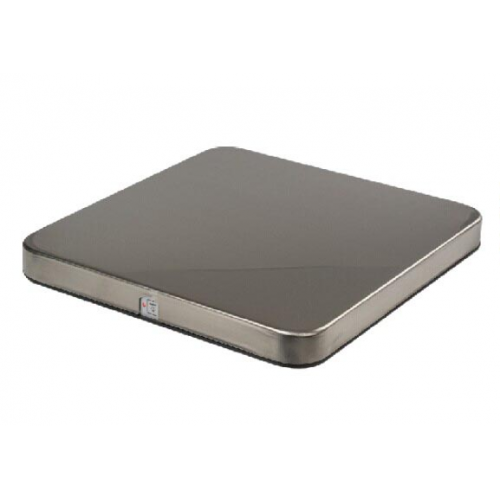 The Sensodroid BT75Y platform scales provide a very accurate weighing of up to 75 kg with a 20 g division. A 300 x 320 mm stainless steel weighing platform, and a robust base in combination with four weighing sensors, will be used in all industries. The scale has a very simple control of the one-touch control for turning the balance on and off. The balance has the TARE or UNIT function. To view weight and control features such as TARE or UNIT, you can use the basic Sensoscale lite application that you can download here. The app is for Android. The balance is also connectable to a Windows PC. Balance will find its use in logistics, household, industry and advertising promotion.